In the domain of web hosting, everyone is aware of Bitcoin as a sophisticated digital currency. It is also known as crypto-currency and is increasingly being offered as a standard payment system by a large number of web hosts in addition to PayPal or other payment gateways. However, Bitcoin is not a payment gateway since it is a currency by itself that facilitates an online transfer. Therefore it obviates a payment processing agency and also eliminates any commission associated with such payment methods. Bitcoin in the most hassle free mode of transferring payment via the internet medium. There are multiple reasons for growing acceptance of Bitcoin including the mystery that is associated with its source. It is not clear as to who has invented the crypto-currency. Therefore no individual or organization actually owns Bitcoin. Bitcoin has suffered a large array of setbacks including its labeling as one of those digital Ponzy scheme. 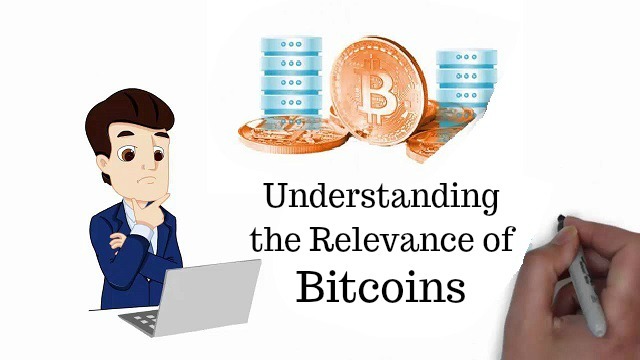 It has also been associated with the dark web and cyber criminals since you need not use your name while transacting in Bitcoins. In addition to many blots on its reputation, there are many events that have impacted credibility of Bitcoin. Bitcoin suffered the most severe setback when the biggest Bitcoin provider MtGox caused huge losses to Bitcoin owners on account of its collapse. In spite of these events, Bitcoin has slowly but steadily gained acceptance and is now enjoying a status of mainstream currency. One of the most glaring examples of its enhanced acceptance and credibility is that Bitcoin is now approved by none other than Microsoft as an official means of transaction. 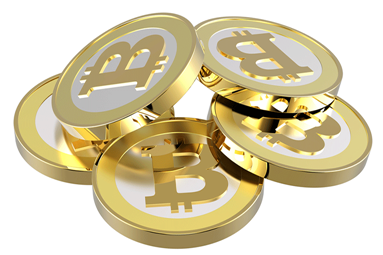 Many established providers of web hosting services have begun accepting payments in the form of Bitcoins. You may be surprised to note that growing number of pizza delivery services have started accepting Bitcoins in addition to WordPress and many travel agencies. There are multiple as well as complex mathematical computations involved in determining value of Bitcoin as a currency. The easiest way to understand the process is by comparing the same with fixing value of standard currencies. Bitcoin is also influenced by the exchange value being paid by the currency market. However, there is no physical note or coin of Bitcoin unlike other conventional currencies. Every transaction involving Bitcoin exchange is entered into a digital ledger that serves as a record to understand the history of Bitcoin exchanges and provides record of each and every Bitcoin. The entry into that ledger is by itself proof of existence of any particular Bitcoin. Currently, one Bitcoin is valued at a whopping $ 2,841. This also means that a person who possessed Bitcoins whose total value was $1000 in 2010 is a multimillionaire by current value of Bitcoin. By engaging in Bitcoin mining, one can earn Bitcoins. The method of mining Bitcoins is governed by updating records of Bitcoin transactions in the ledger consisting of historical Bitcoin records. Miners are offered reward in the form of Bitcoins for their efforts. It is obvious that Bitcoin miners need access to a large number of servers. It is said that the total worth of Bitcoins cannot surpass $ 21 million and this adds great stability to the crypto-currency as compared to any standard currency. Presently the value of all Bitcoins is roughly around $ 15 million. There exists a robust control mechanism to restrain Bitcoins and it involves a strong network of servers for monitoring sale of Bitcoins and to prevent re-spending of Bitcoins that are previously spent. The entire system is backed by stringent security measures. Since Bitcoin is a digital currency, the ways to use Bitcoins is also governed by digital processes. You will need a digital wallet to keep your Bitcoins and these wallets can be procured from one of the websites that including Blockchain. In order to purchase Bitcoins, one needs to deal with exchanges such as BTC-e, Kraken, or Coinbase among others. Bitcoin wallets are linked with Bitcoin addresses and storage of Bitcoin wallets is implemented through use of mobile phones or hard drives. Bitcoins keep moving from one address to another. It is obvious that if your hard drive crashes, then all your Bitcoins are lost. In web hosting, Bitcoins can be paid via number of hardware terminals similar to payment gateways.